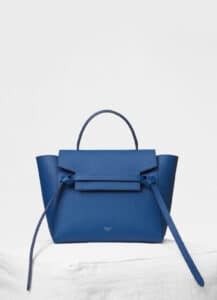 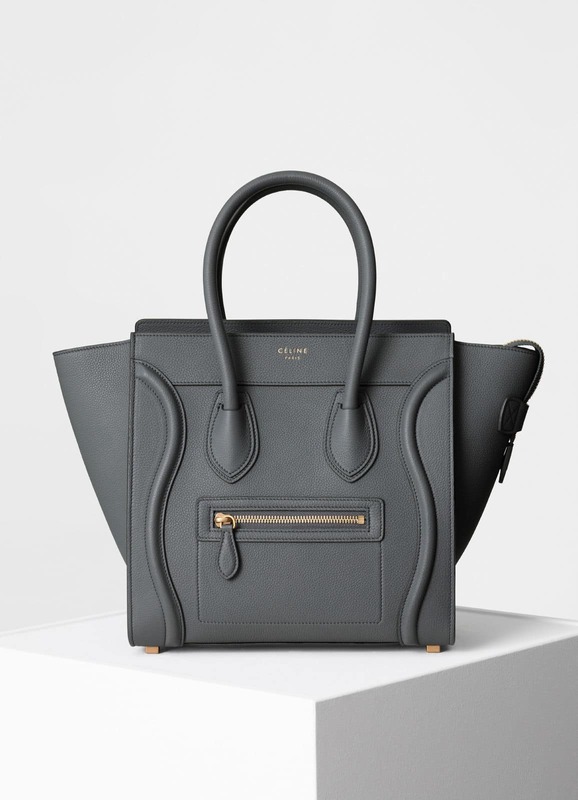 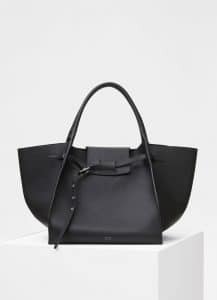 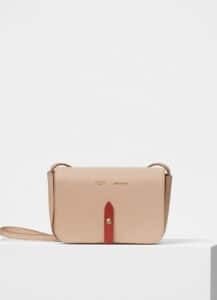 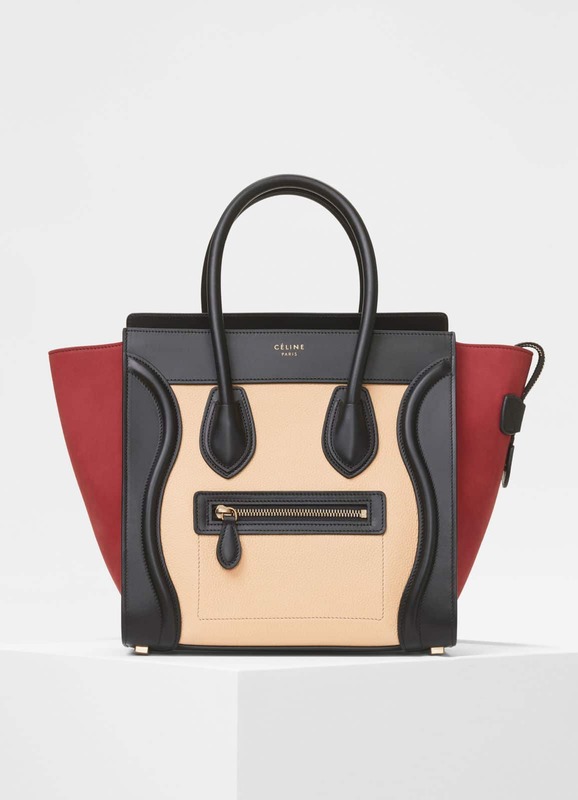 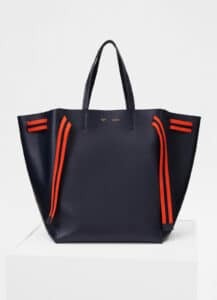 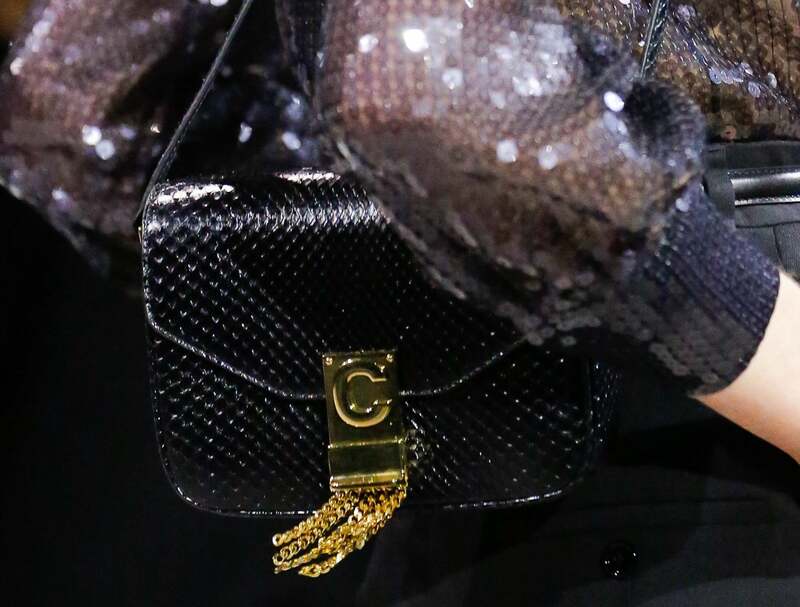 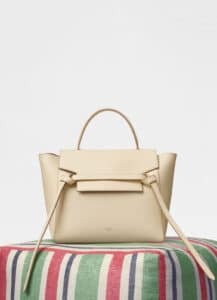 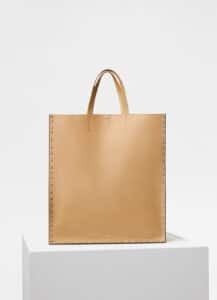 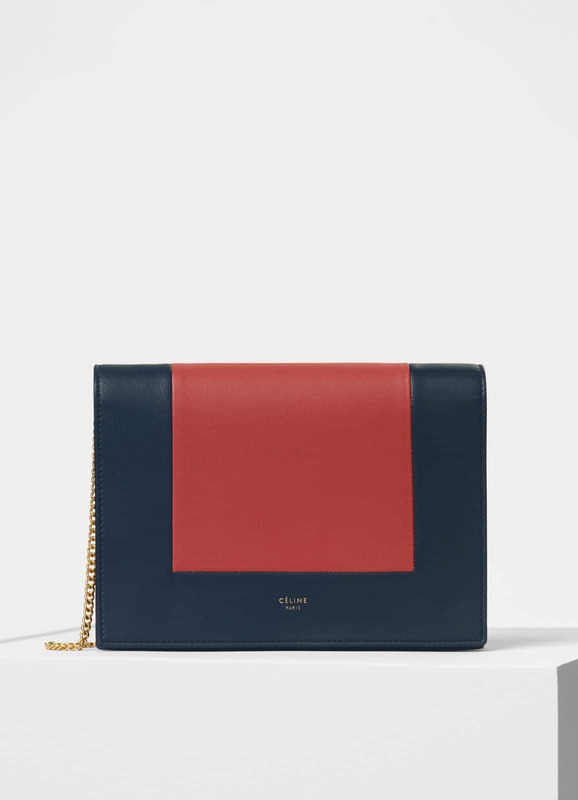 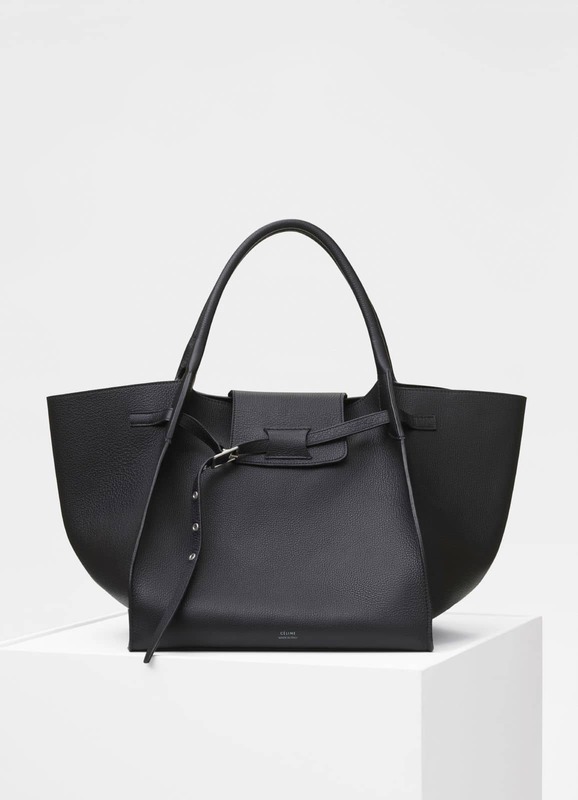 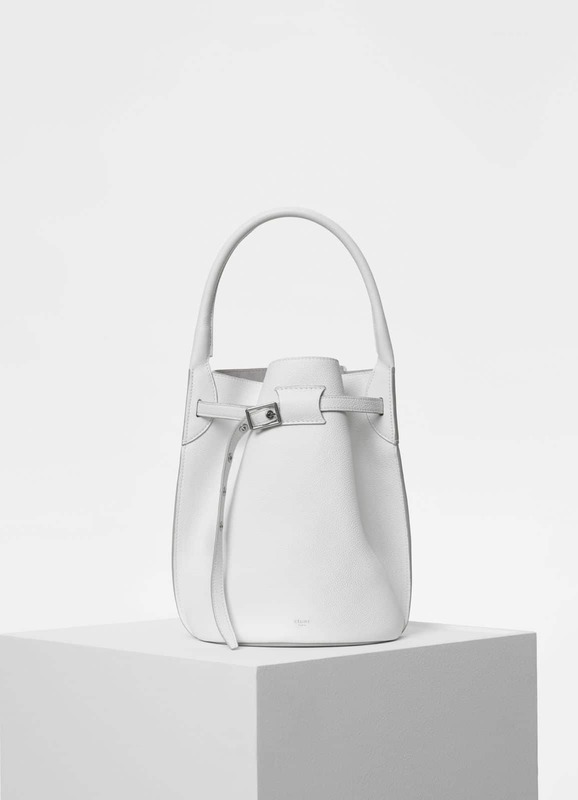 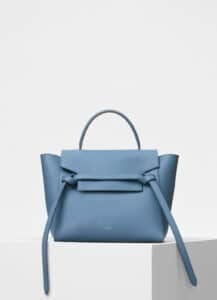 Introducing the Celine Spring 2018 Bag Collection. 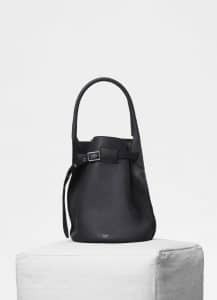 The Big Bag line which was first introduced for the Winter 2017 Collection is back with a new style. 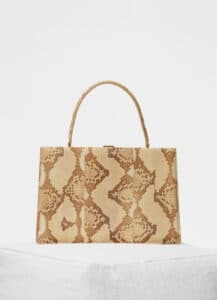 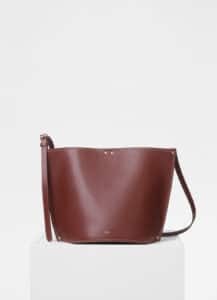 It is now available with long strap and also in bucket bag. 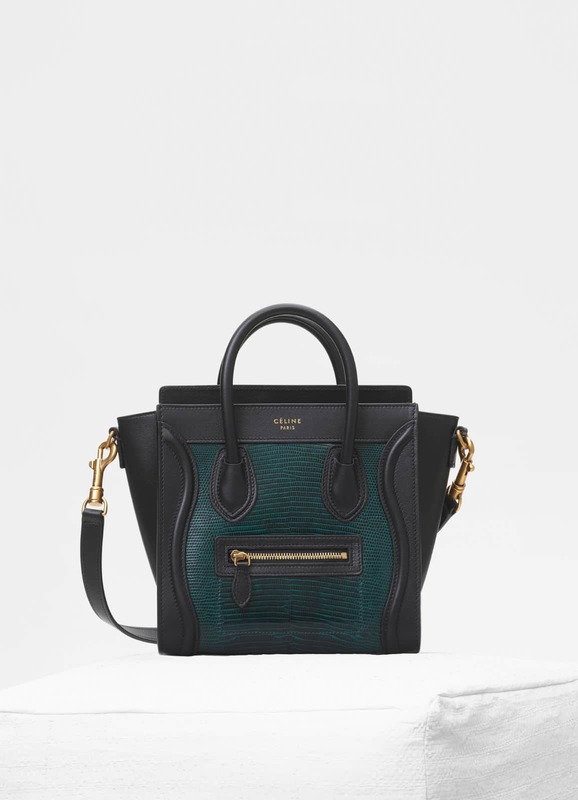 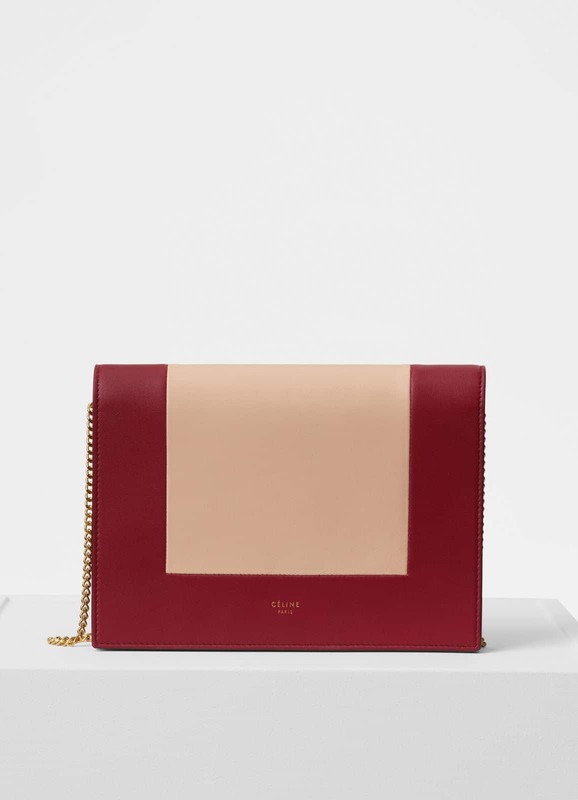 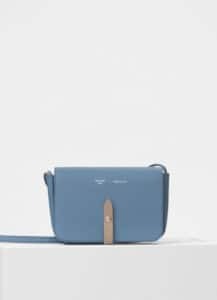 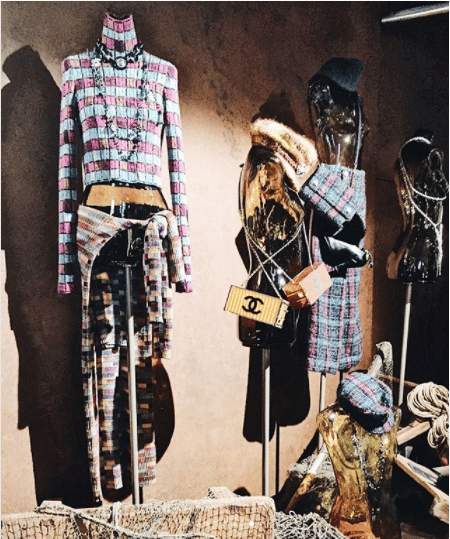 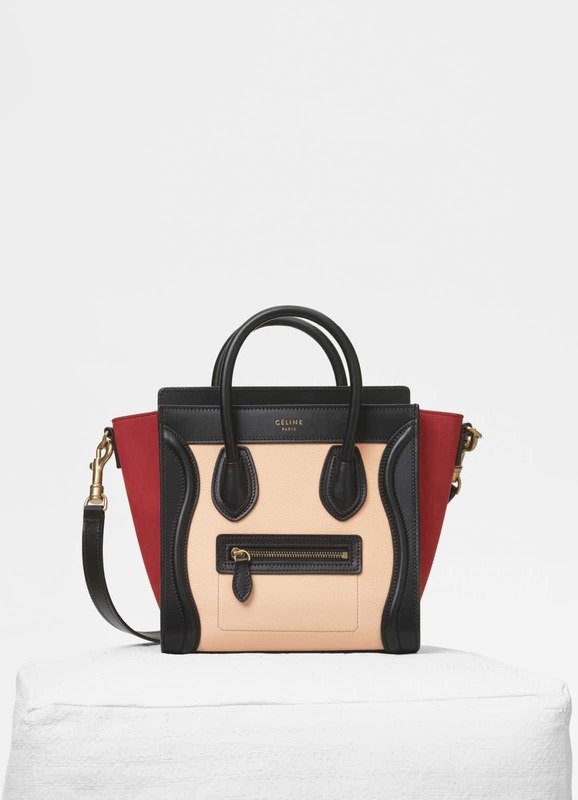 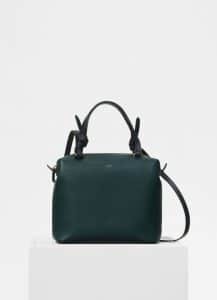 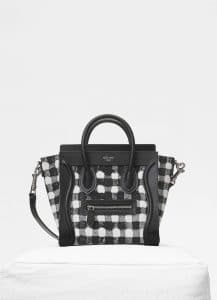 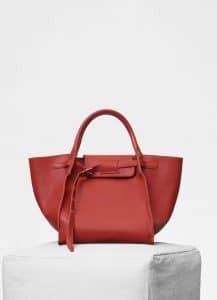 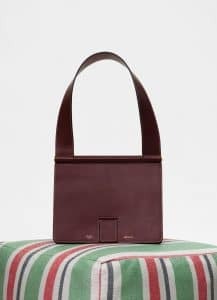 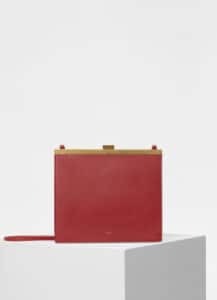 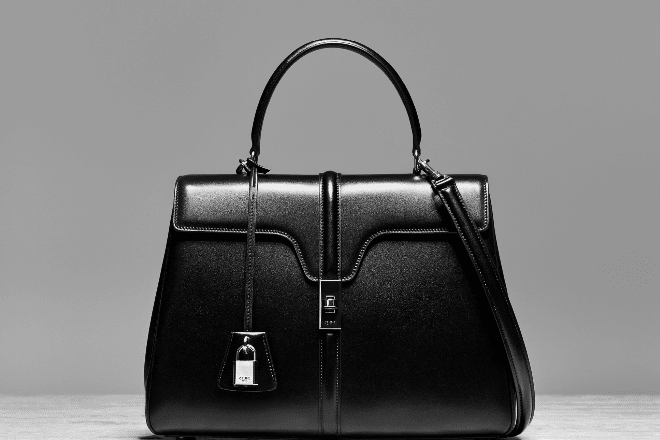 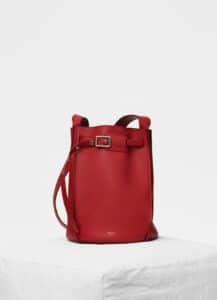 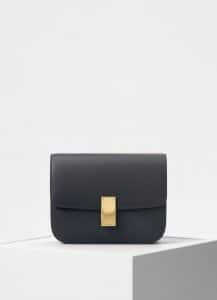 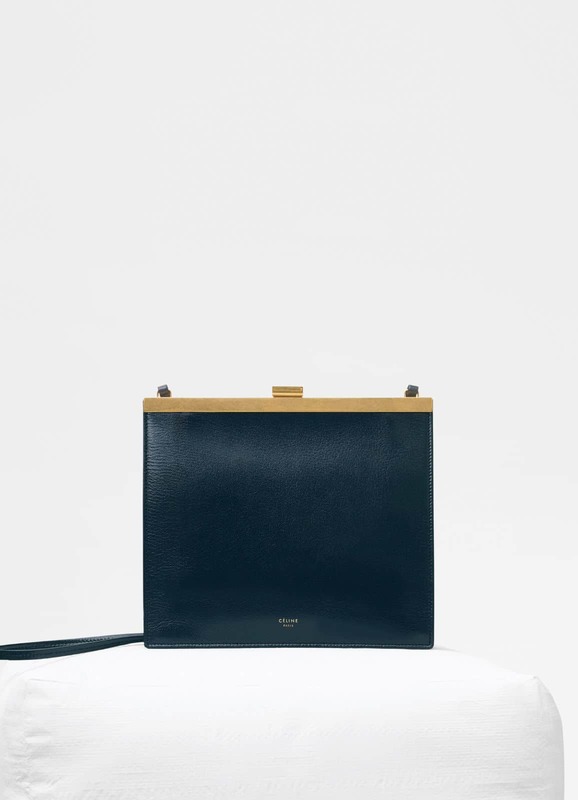 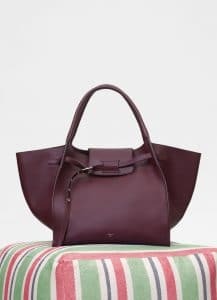 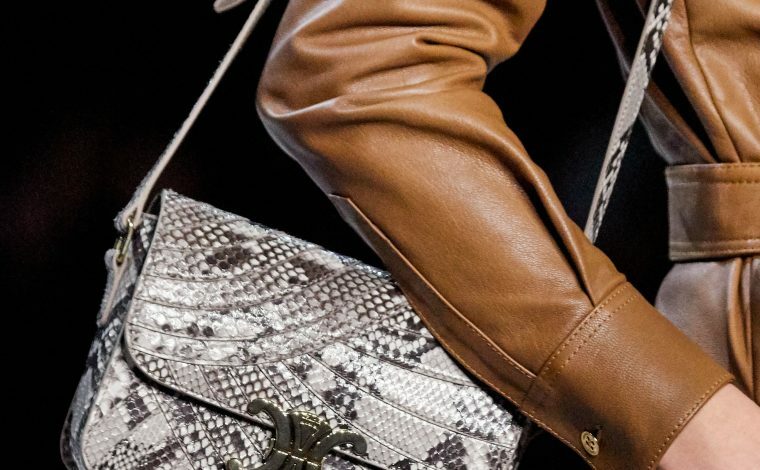 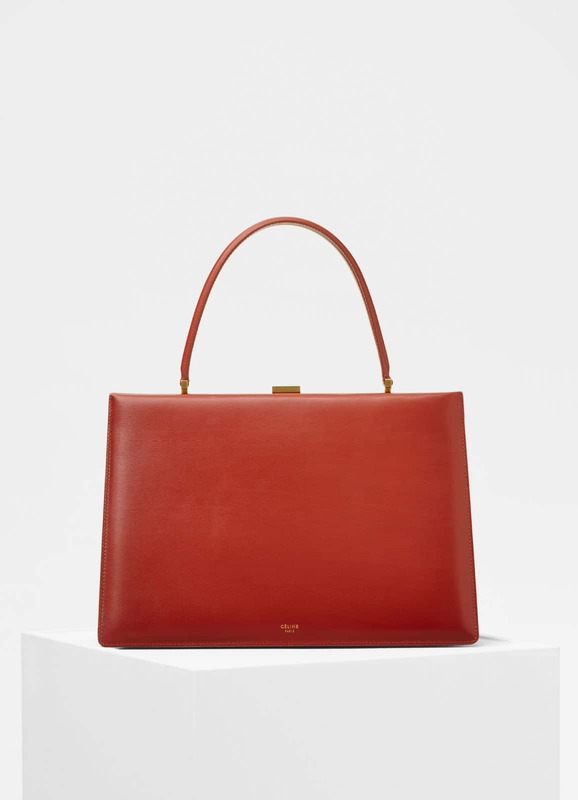 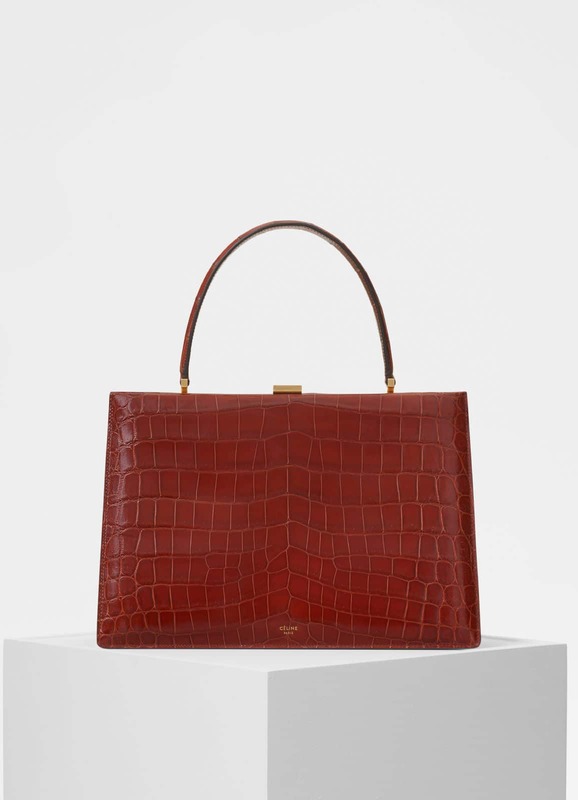 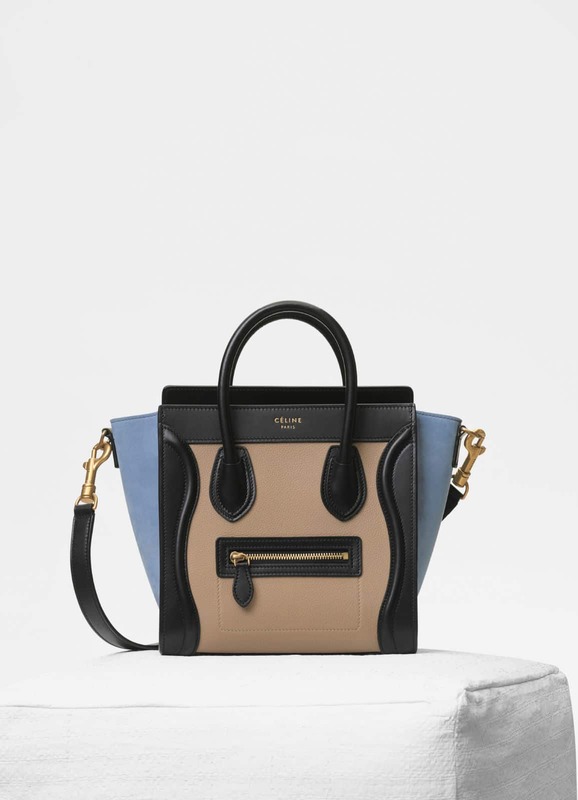 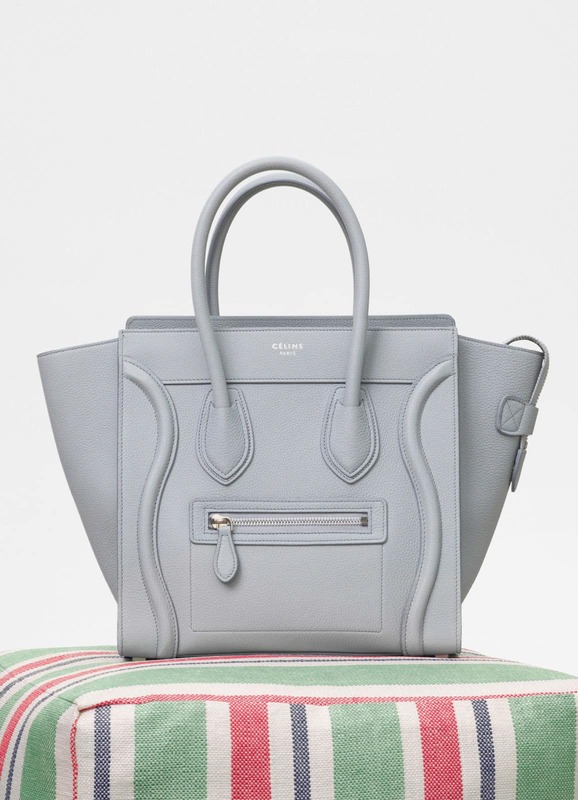 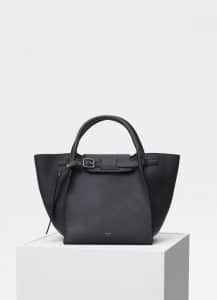 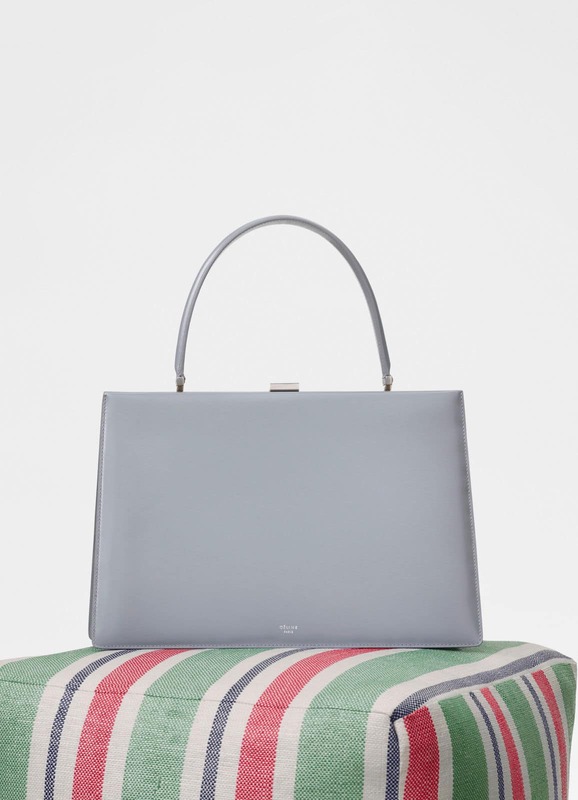 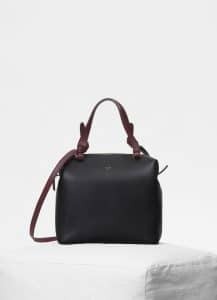 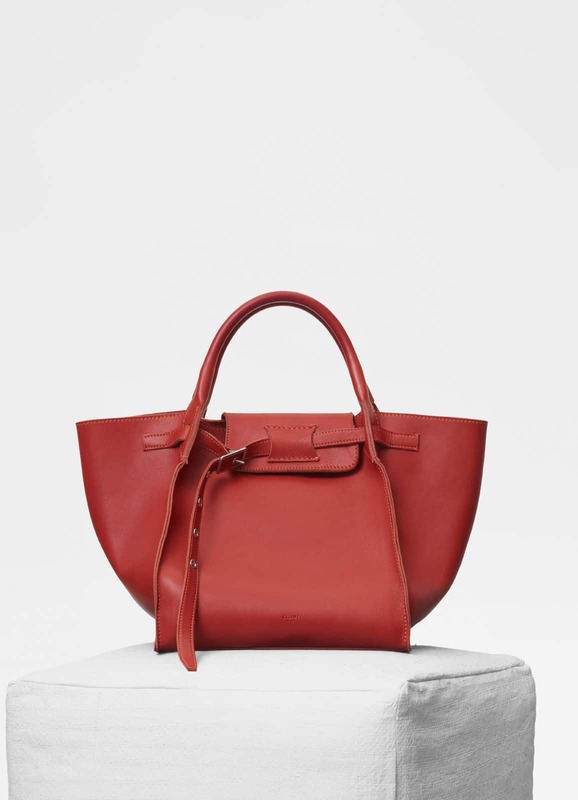 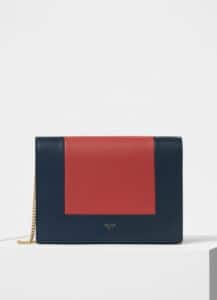 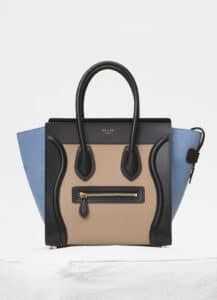 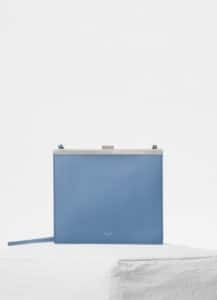 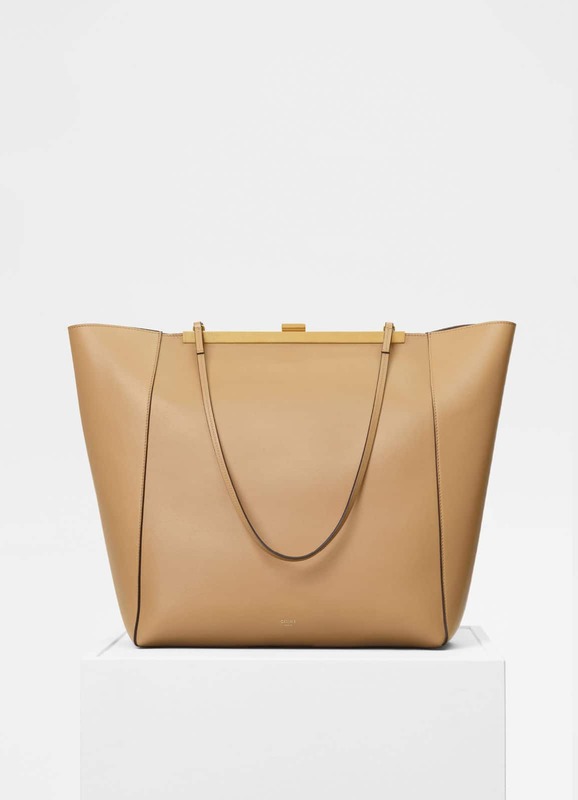 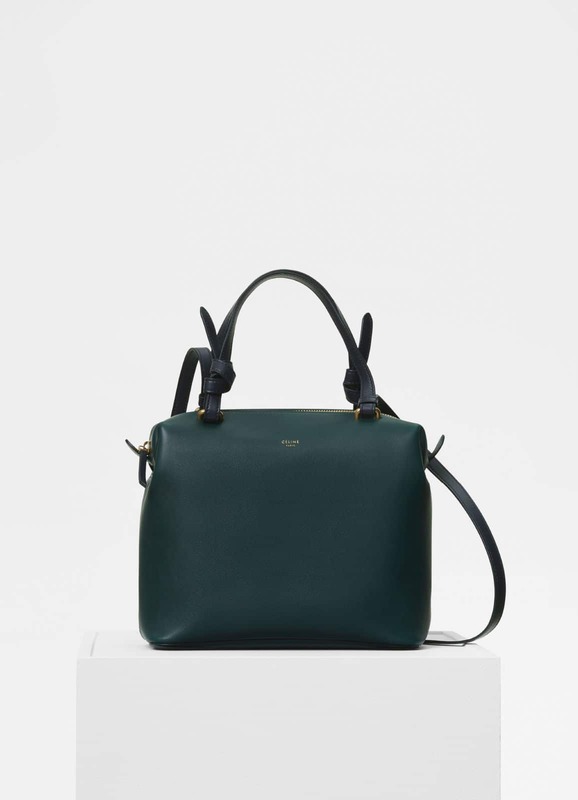 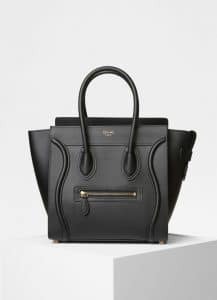 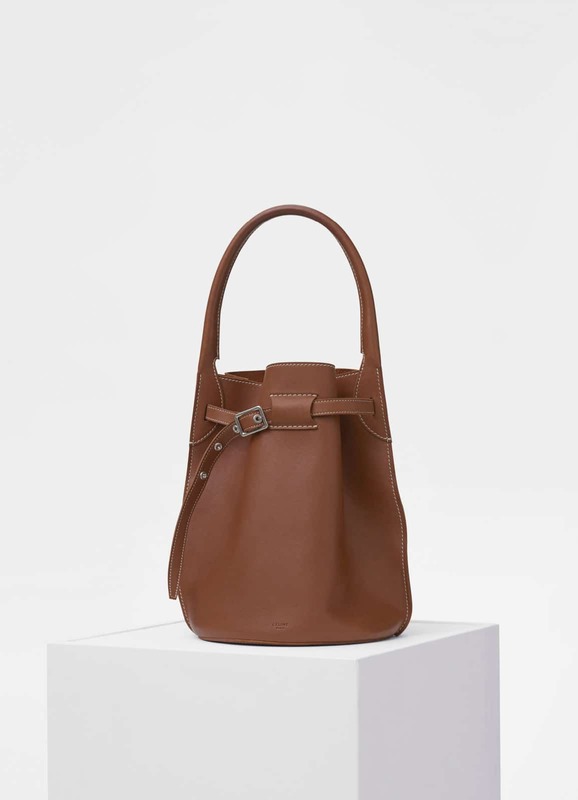 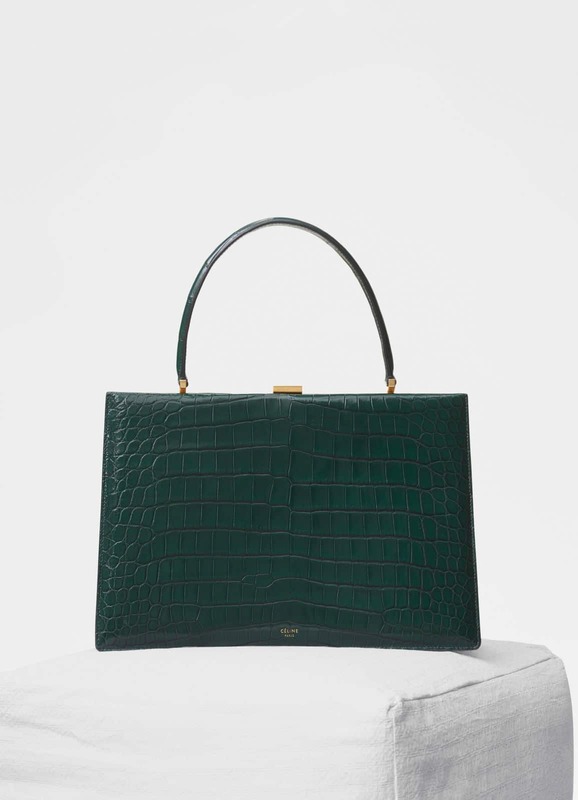 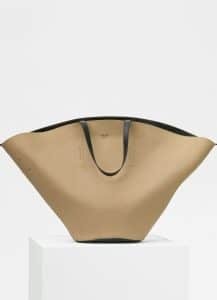 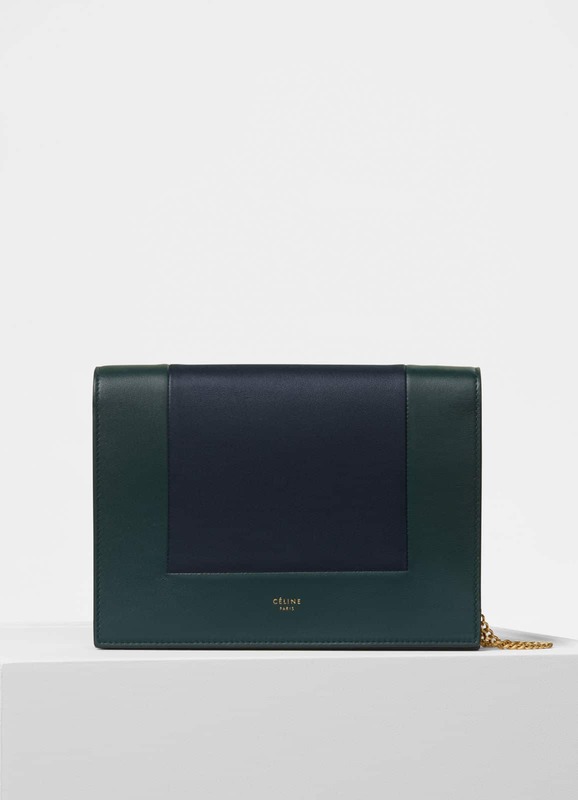 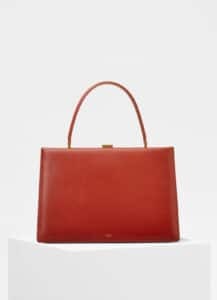 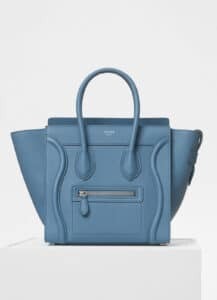 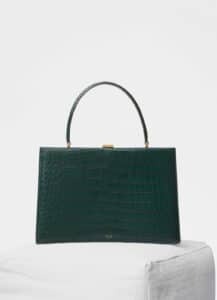 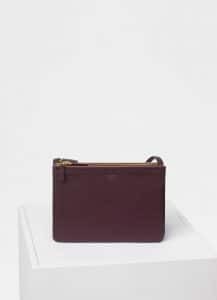 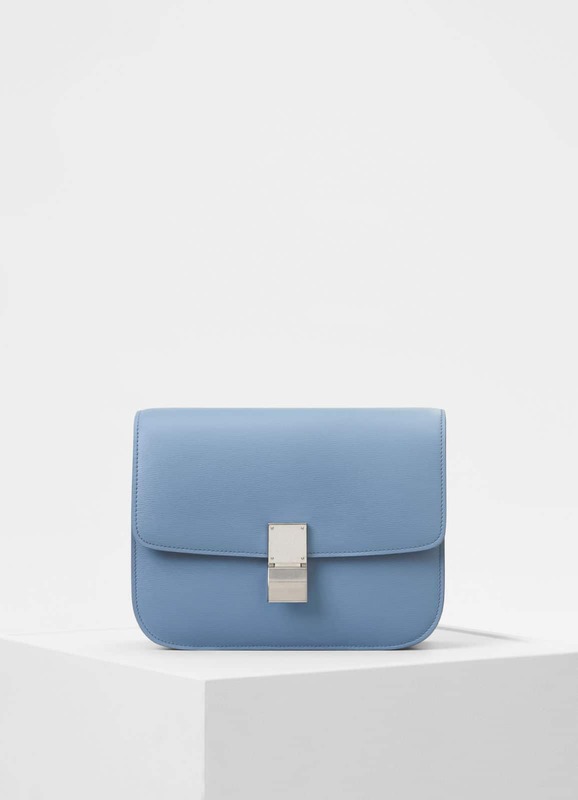 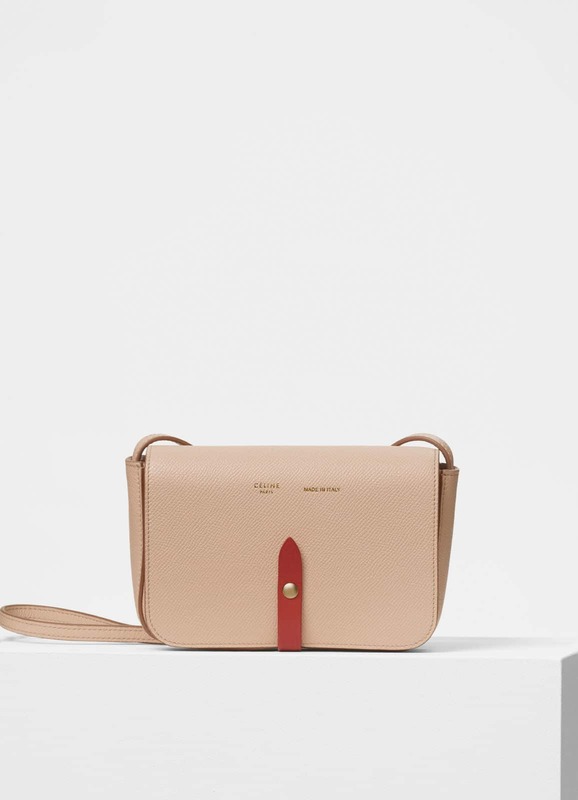 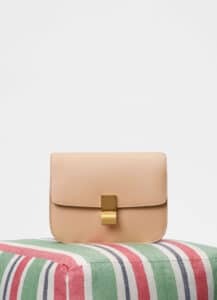 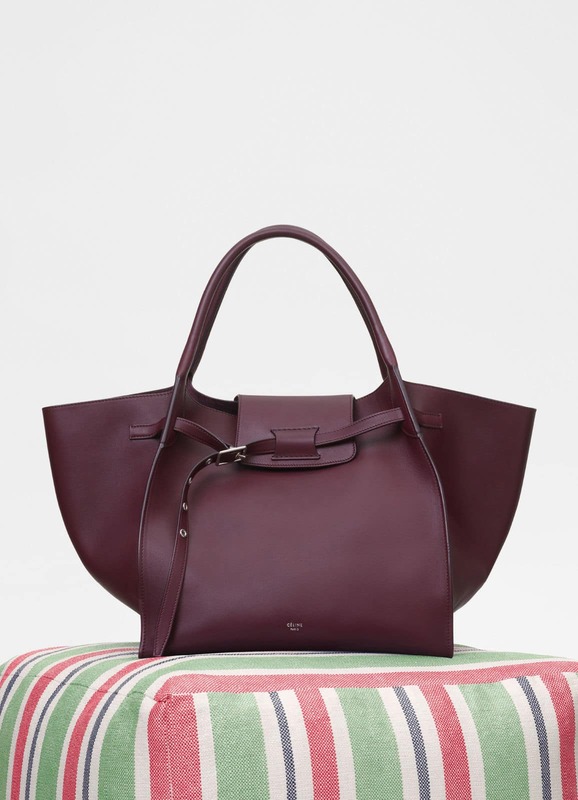 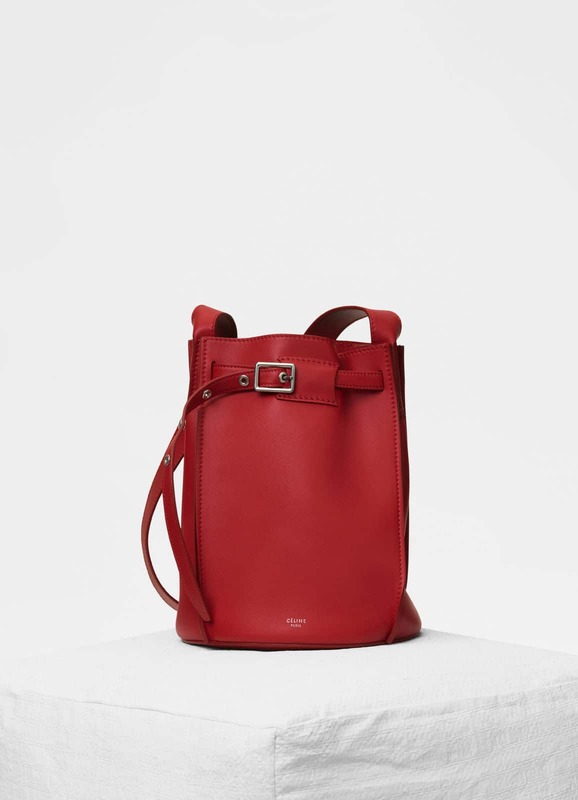 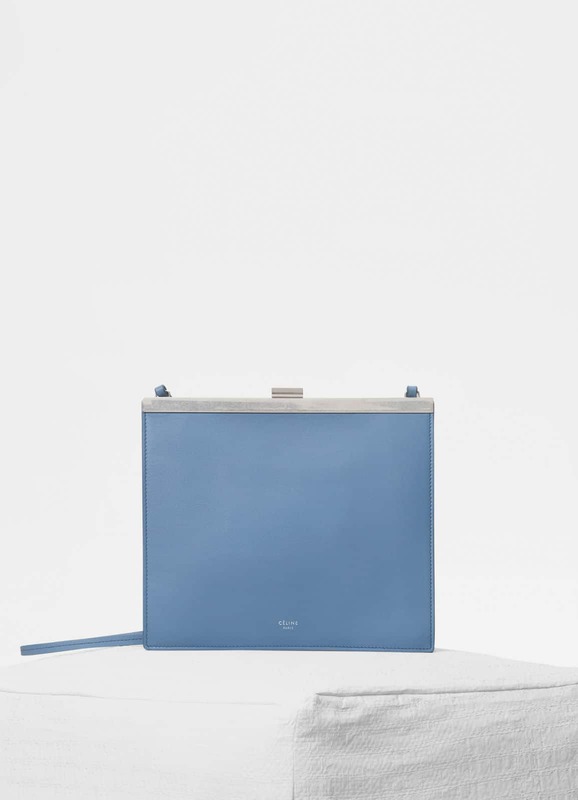 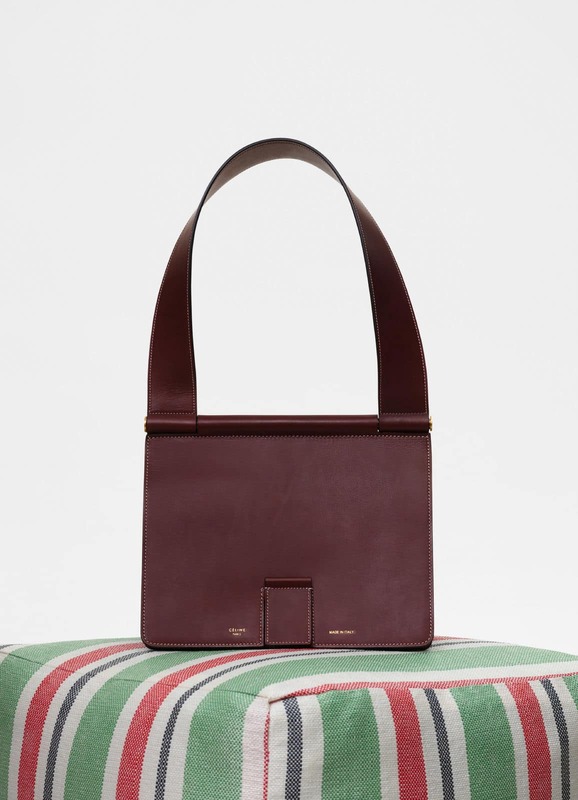 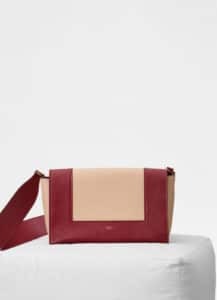 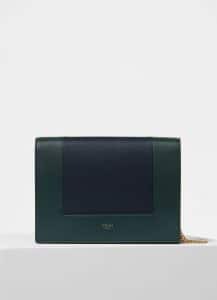 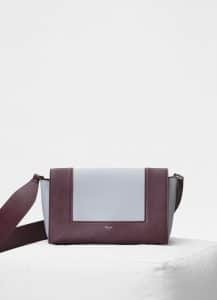 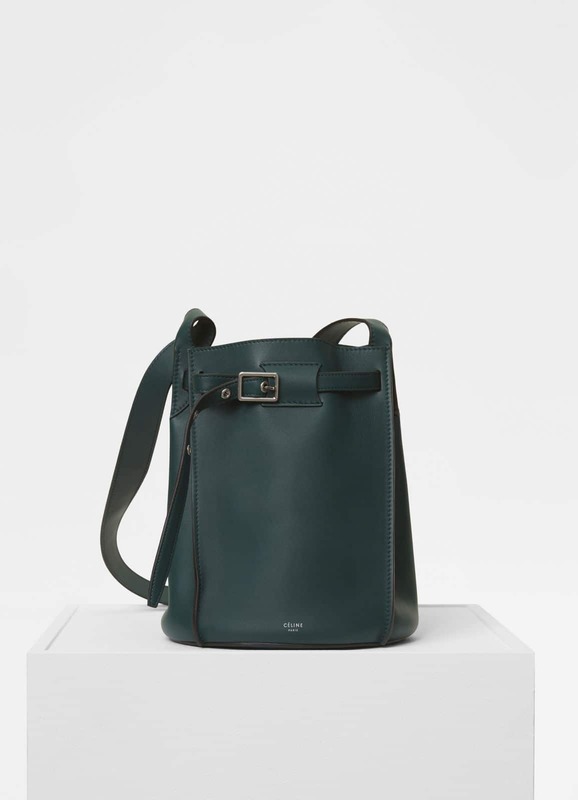 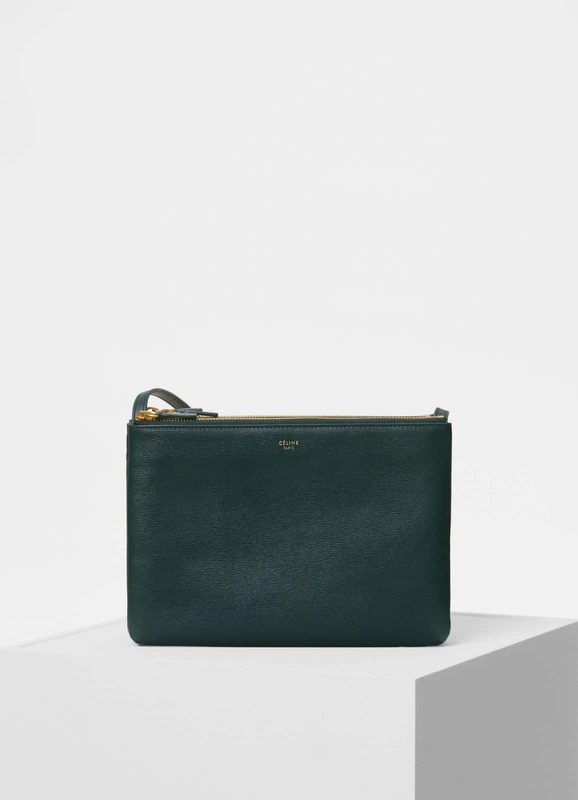 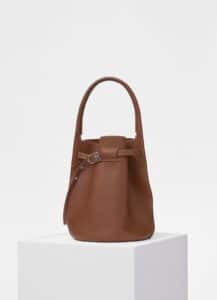 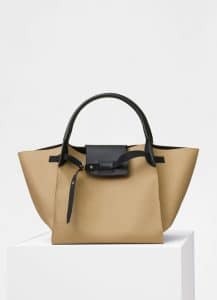 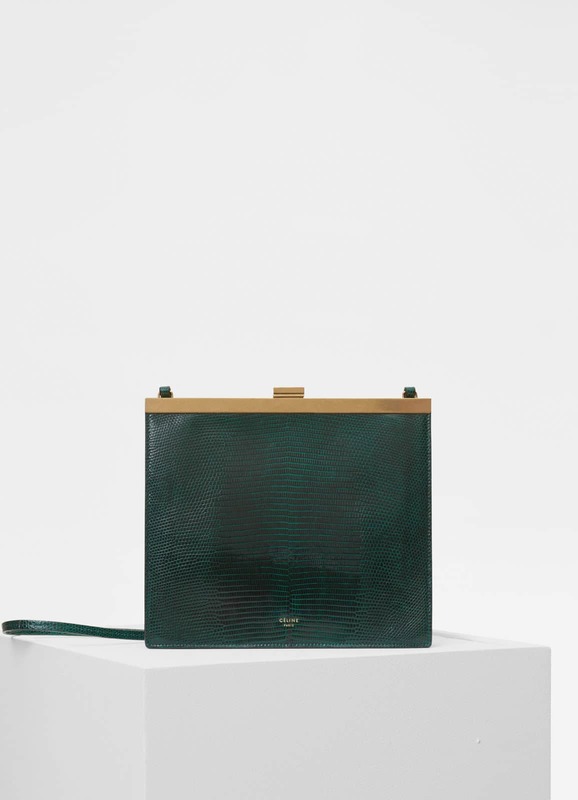 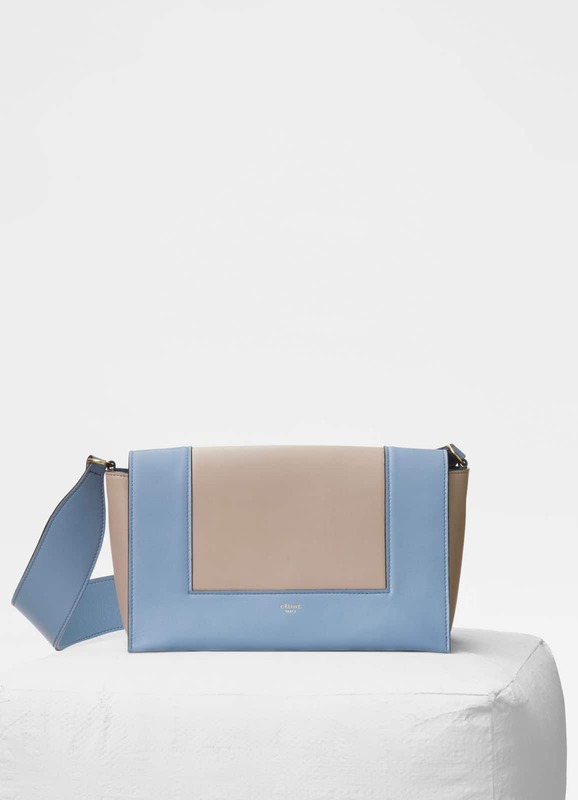 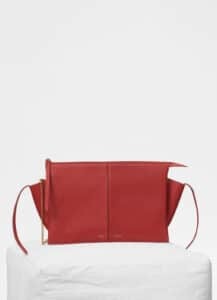 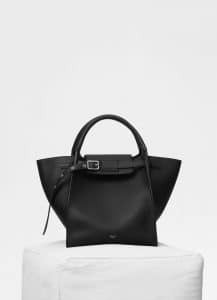 The brand’s iconic handbags such as the Luggage, Classic Box and Belt Bags are also part of the collection in new colors. 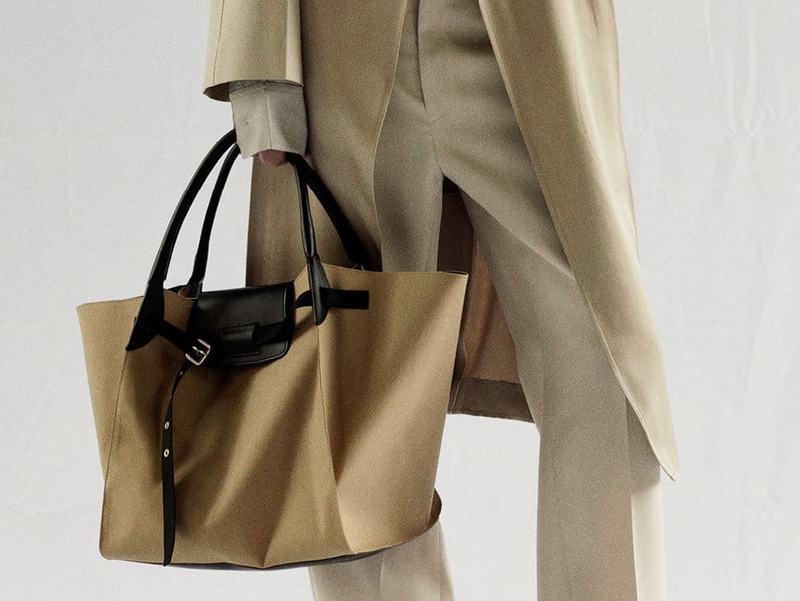 Celine has also used a unique material this season, which is the rain coat fabric. 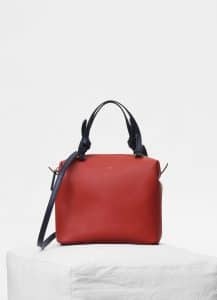 It is available in the Medium Big Bag and Oversizes Studs Bag. 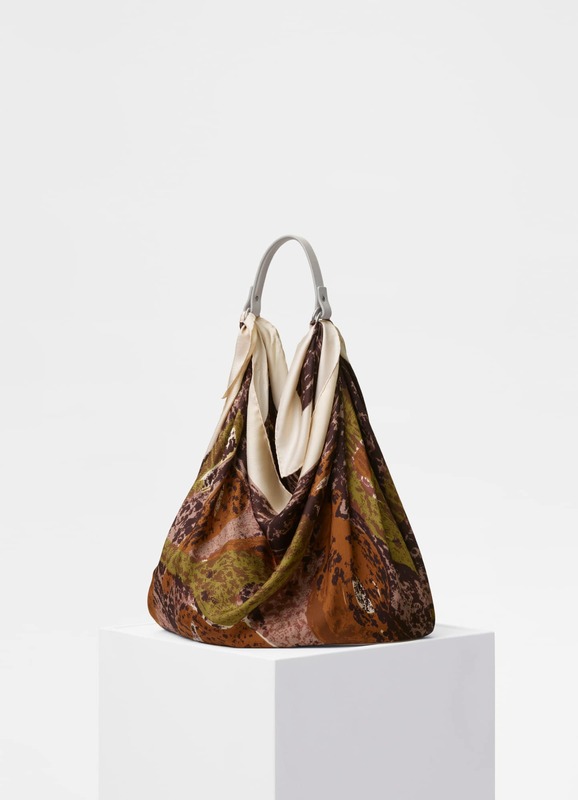 Another unique material used for Spring 2018 bags is scarf. 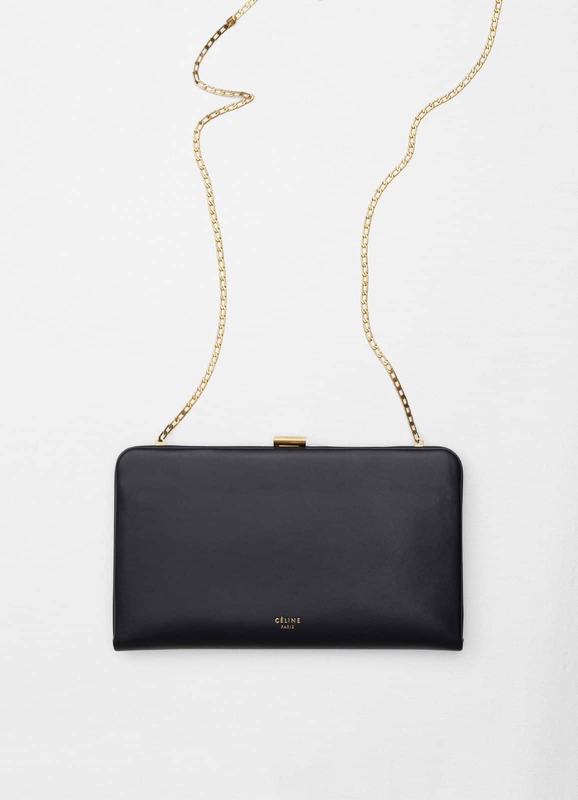 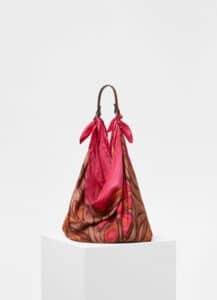 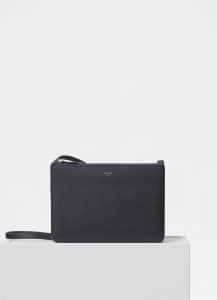 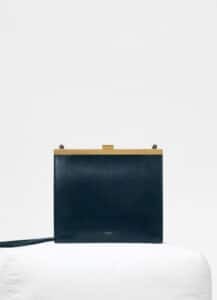 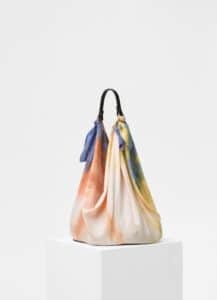 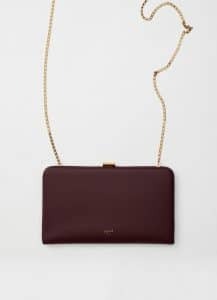 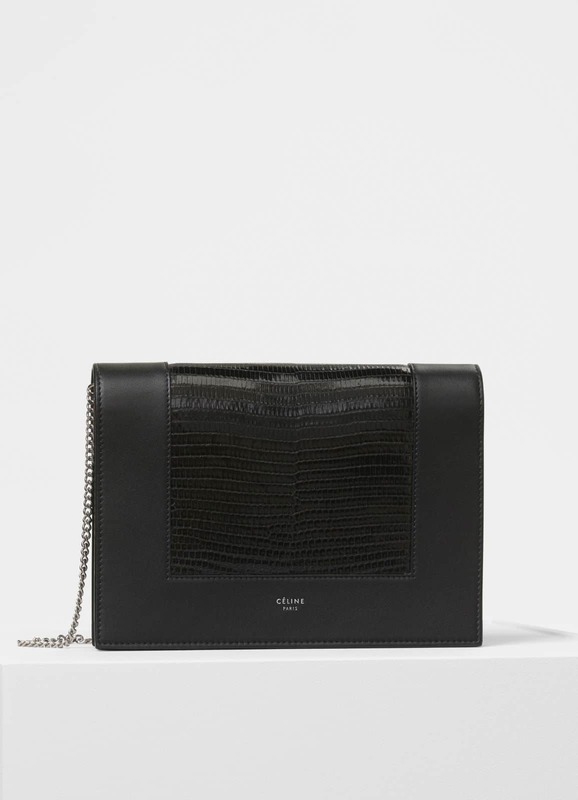 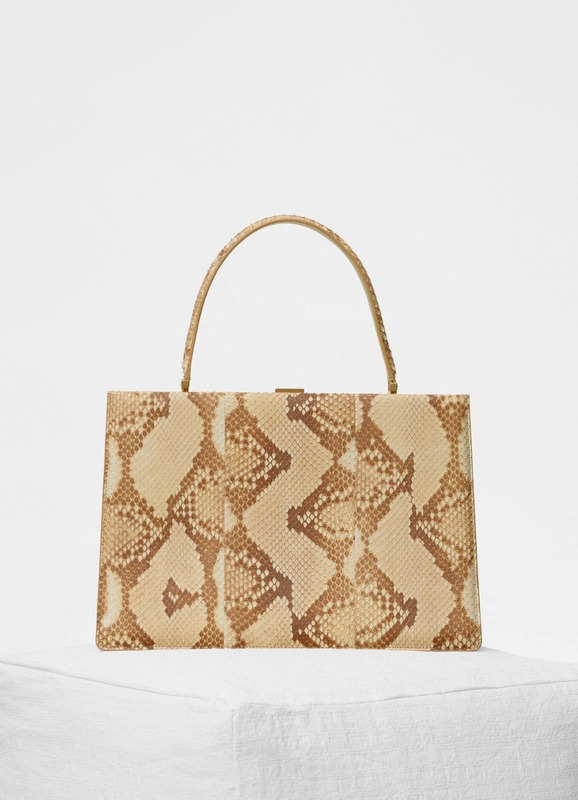 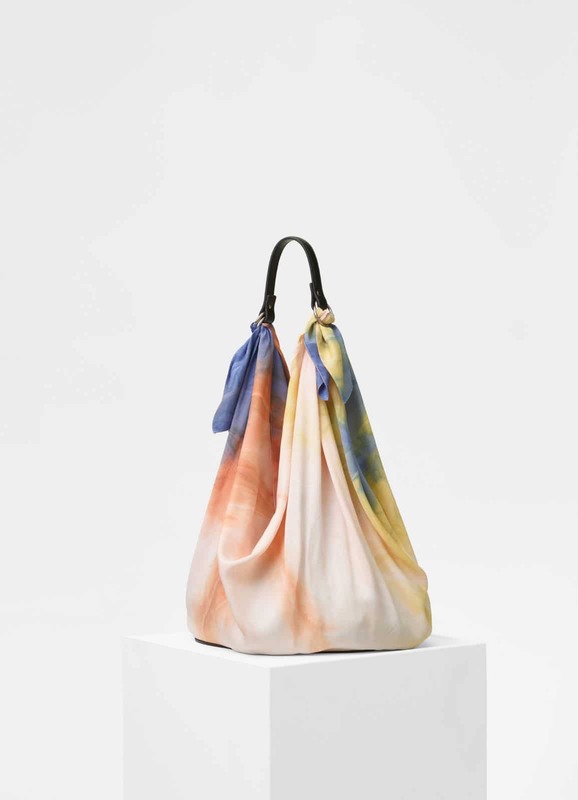 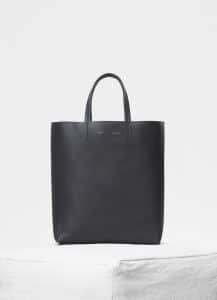 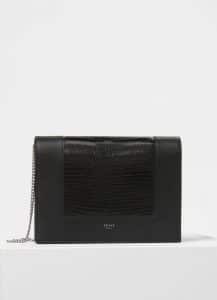 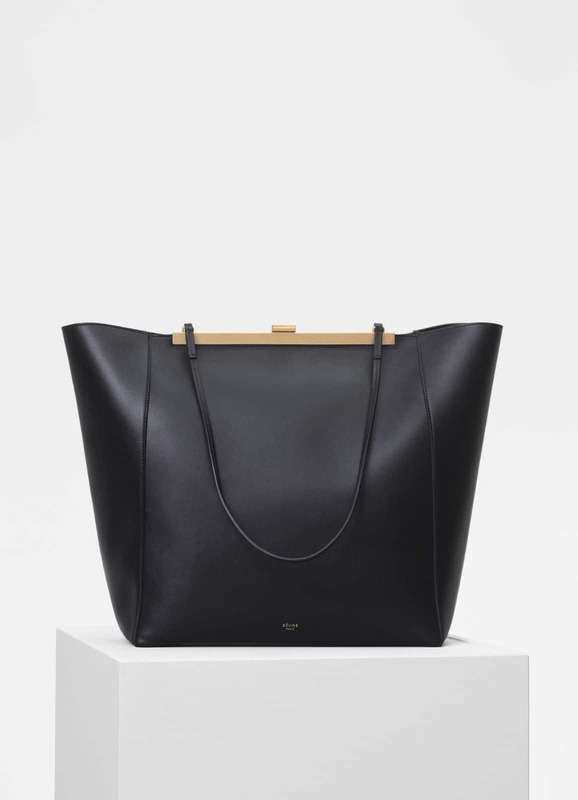 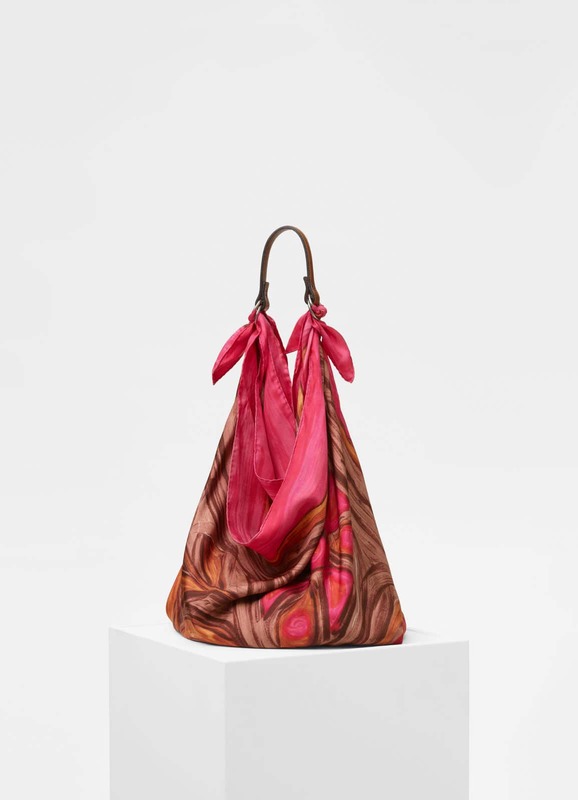 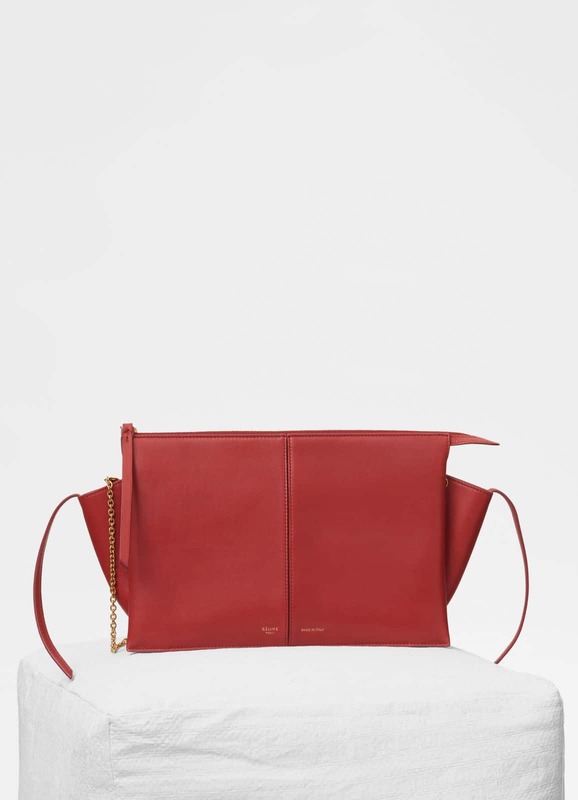 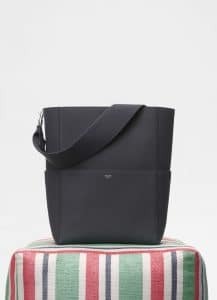 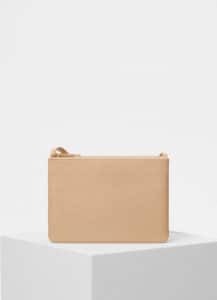 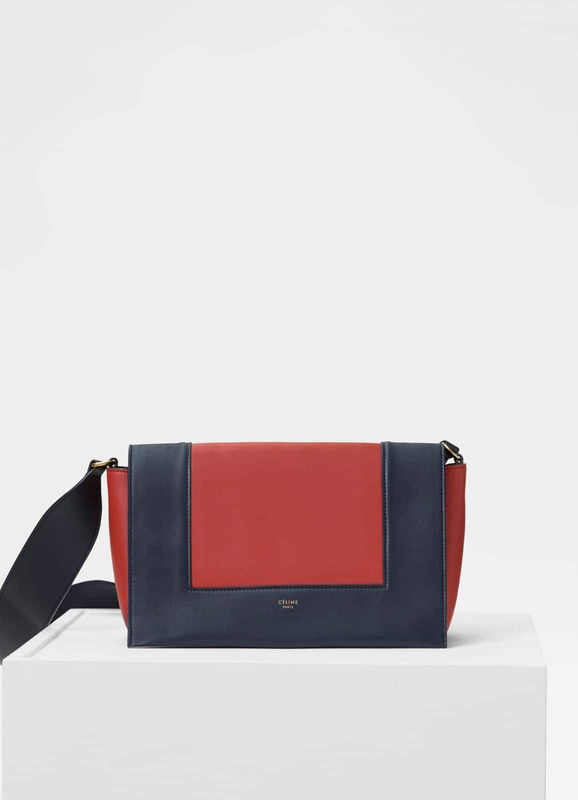 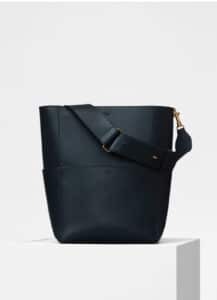 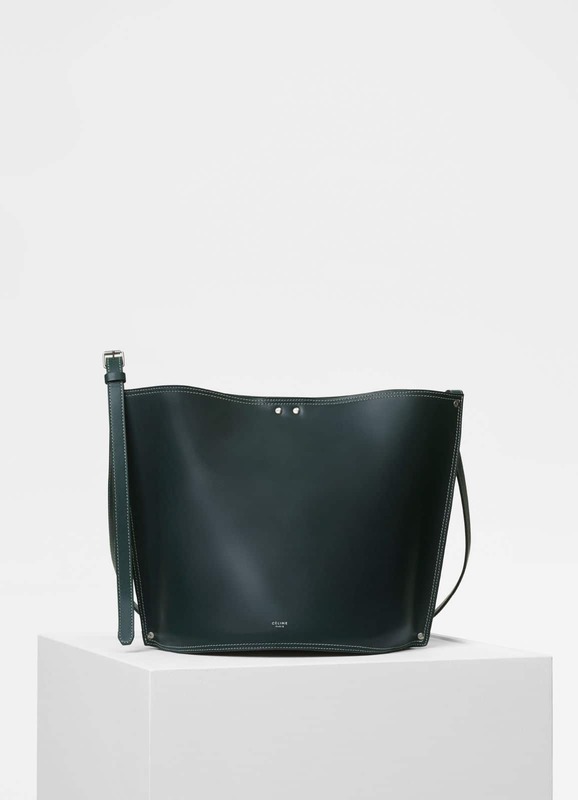 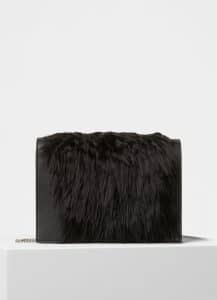 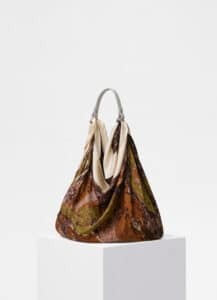 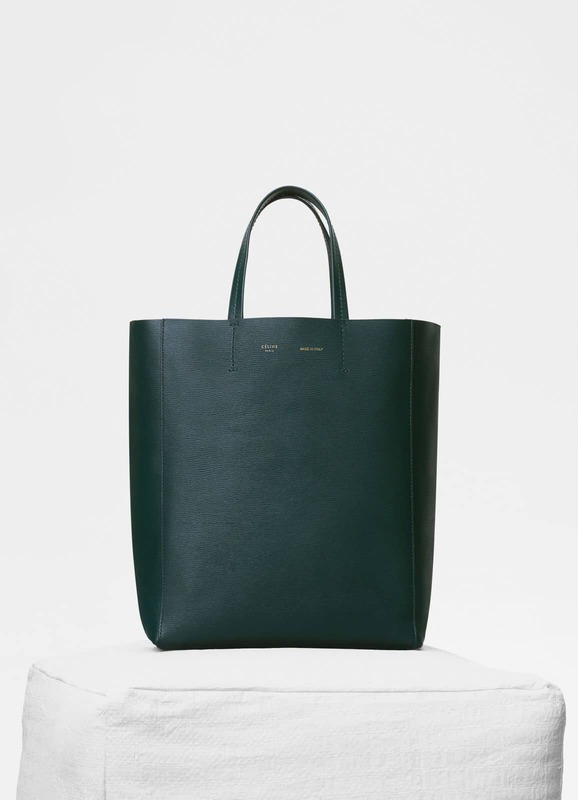 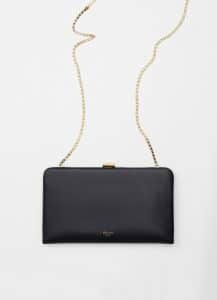 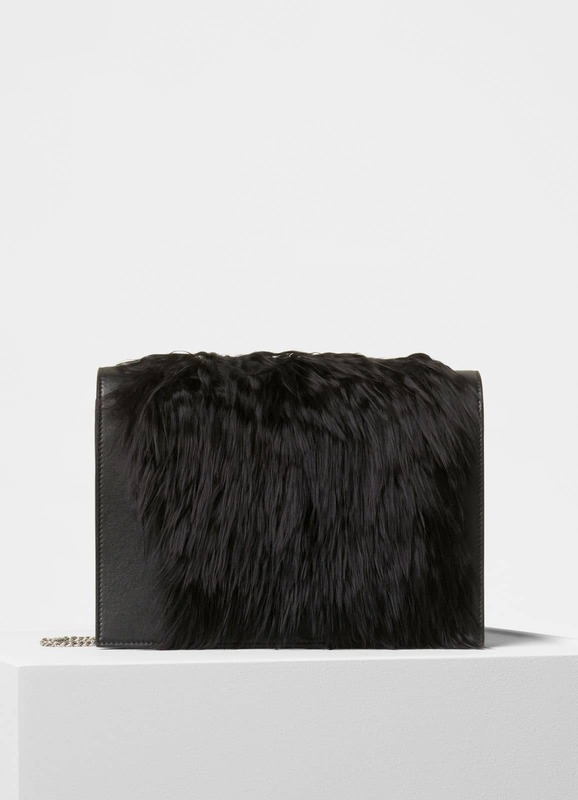 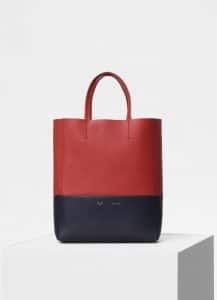 The Scarf Bag features a removable leather handle and can be worn on the shoulder or carried by hand. 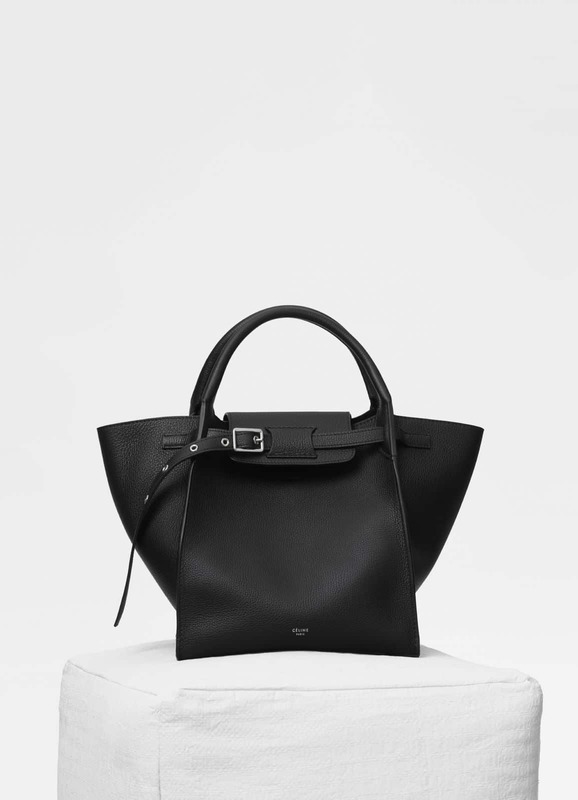 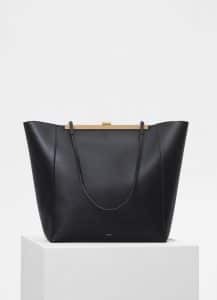 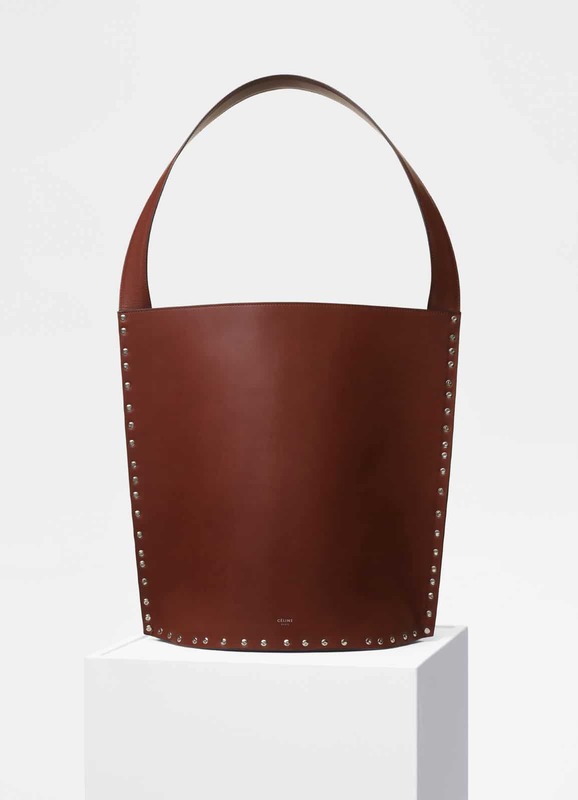 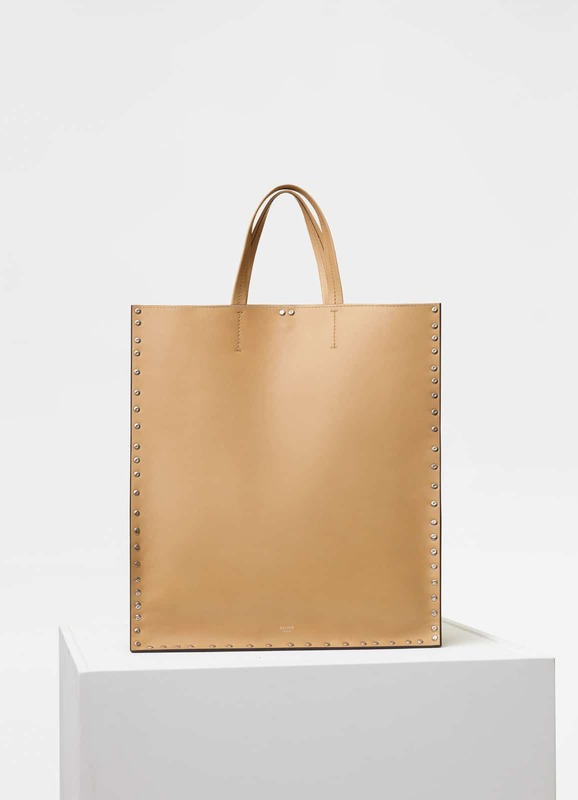 Bucket and tote bags with studs are also presented for this season.